Well this is it. The last installment of Another Mother (formerly Searching For A Girl) is finally here. Glogirly is questioning whether or not I even remember how to blog anymore. It's not ME I'm worried about. When Glogirly came home from her most recent visit, she couldn't stop thinking about Alice, Dorothy, and her journey. On the last night of her stay, she sat at the dinner table late into the evening with Dorothy, Armi, Jim and their daughter Vicki. The conversation had turned to Alice and the adoption. Dorothy looked troubled and started to talk about the events leading up to the adoption. It became clear she was harboring a tremendous amount of guilt and had been for some time. She confessed to Glogirly something so deeply personal, the table became still and quiet. When Alice found out she was pregnant and had told her parents, it was Dorothy who their father came to. He told Dorothy that it would be her responsibility to tell Alice that she couldn't keep her baby. That she would have to give the child up for adoption. He wasn't going to have anything to do with it and Dorothy needed to handle it. By herself. Dorothy had a new baby of her own. Jeff was only a few months old. Alice loved Jeff. She loved children. Others trusted their children to her care. That's how she earned her living expenses. How was Dorothy going to tell her younger sister that she couldn't keep her baby? That she couldn't take care of it? Dorothy did what she was told to do. Alice pleaded "Why?" "Why can't I keep my baby?" It broke Dorothy's heart to tell her that she couldn't take care of it, that the baby needed a family that could. Only God knows how she found the words to tell Alice what needed to be done. That's when Dorothy contacted a friend in social services and was referred to Children's Home Society. Dorothy told Glogirly it was the hardest thing she ever had to do. It tore her apart and crushed Alice. That's when Alice left San Luis Obispo to stay with a family she didn't know in Santa Barbara. That's when it became Alice's responsibility, as part of the agreement with Children's Home Society, to live with this family and help the mother, pregnant herself, care for her children. The irony of the situation was impossible to ignore. After Glogirly was born, Alice went to stay with Dorothy and her family. She helped with Jeff who was just about 1 year old. She took care of him, played with him, changed his diapers. She loved him. A few months later, Dorothy came home from the doctor's office. Alice could tell just by looking at her. "Your pregnant! Again!" Alice was thrilled for her sister. Dorothy wanted to be happy and excited about the news. But she could see through to the sadness in her sister's eyes. She's carried that feeling with her all these years. It's this conversation that Glogirly just couldn't shake when she returned to Minnesota. Once she was home, she pulled out the notes she had taken during her search, things she had jotted down on those first few phone calls, and she started to write. That's how this all began. She decided it might be interesting to try out the story on the blog. The day the background report arrived, and after Glogirly read Gloman the four pages of single spaced type, he told her, "There's a book in this." This was a story that she would need to tell someday. Well someday has come. The blog story is the first step. Glogirly has thought alot about how to turn her story into a book that people will actually buy and enjoy. She's thinking about her target audience and how to bring the story to life with more details and visual descriptions. She's planning another trip to California to interview Dorothy and other family members so that she can dive much deeper into the story. She hopes these added details will help her paint a visual picture for the reader with her words. She's thinking a good place to begin the story is not with her, but with Dorothy. Before Glogirly was even born. Probably with the conversation between Dorothy and her father. When he told her what she needed to do. If you've been reading along from the start, you know that the story actually began with the title, Searching For A Girl. As each chapter took it's shape, a chapter title would emerge. 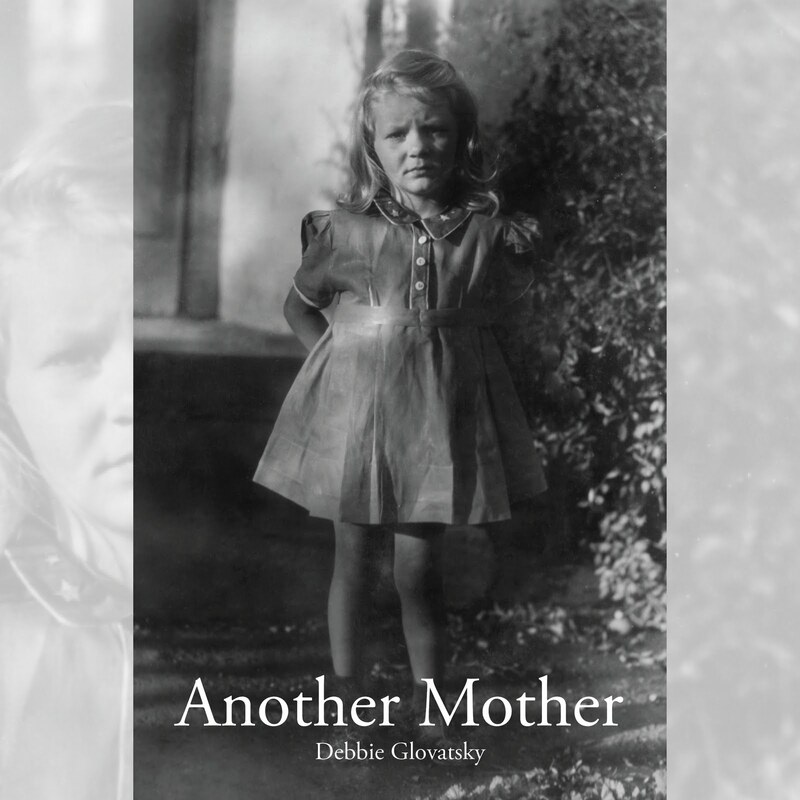 It wasn't until chapter 12, when she wrote about Dorothy and Alice, that Glogirly understood what her story was really all about. It's about an adoptive mother and a birthmother. It's about sisters, mothers and daughters. It's about Alice and Dorothy. And it's about a little girl that had not one, but three. If you've got something you think is just right, please leave it for us in the comments! You can always email us too. That's quite a story. I like the title Another Mother. This is a great idea for a book, and I am so glad that your human used your blog to work it out for herself, Katie! My human has had two books traditionally published and yours is welcome to ask her any book proposal questions she might have. My human may not have all the answers - but when she doesn't, she does know some good places to find them! How hard it all must have been for Alice. But although Dorothy had to be the one to tell her she could not keep her baby, Dorothy was also the one who provided support and love for Alice as well. 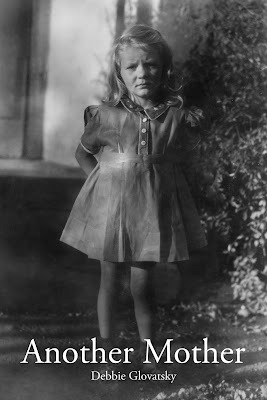 We love the photograph of Alice as a little girl and think it is great for the book cover. Wishing you all the best with the rest of your research and writing of the book. Oh dear friends - this is going to make a great book. Absolutely great. I like your choice of Another Mother for the title also. Do it Glogirly - do it!! Katie you were so nice to let Glogirly use your blog to share her book with us. There is such love in this story and very well written. I think it will make a wonderful read. I am not a published writer but I am a reader, so if I have any ideas I will mail you. WHAT!?! it's not published yet? How about Another Mother-Questions, Answers, and the Gift of Family? Love the title and the cover picture. Your subtitle could be something like An adopted girl searches for her past and finds her future. Katie: who's gonna play you and Glogirly in the movie version?? That's a GREAT title! And we agree with our pals at Katnip Lounge ... why is this amazing story -- told so very well -- not already published? We like the title and the picture, very arresting. I like the idea of starting with Dorthy and the conversation with her father, adds nice drama at the start to grab the reader early. We are so excited for you GG, we know you will write an amazing book. We love your style. We think that is a great title. We wish Glogirly every success with her book. How awesome that you are going to make the story into a book. I also like the title Another Mother! Best Wishes on the book. It definitely will be a best seller! I don't see why you couldn't call it Another Mother - Searching for a Girl. My mum is an editor (publications, not books) but would be happy to help Glogirly along the way if she wants it. Loved your story, Debbie. Read the whole thing in one sitting this afternoon. In my opinion, the title and cover photo are both keepers! I am enjoying reading all the stories on your blog. Thanks. T.
thank you so much for your heartfelt comment! I know exactly how you feel...I would not have been able to have done this in my twenties. Both my parents had passed away and because of that, it felt like the right time. Like you, I would never have wanted to do anything to dishonor or hurt them. Although they would have been supportive no matter what, I chose to wait. ...and honestly, I didn't think I would search. That is until the background report came. It was then that I knew I had to. You were right needed to have the kleenx ready. Such a wonderful story. Can't wait to read the full book once it's publish. The title and the cover picture is fantastic don't change a thing. You have a way of telling the story that you want to know more and more. I'm glad your journey was good. That you found out at least who you were on your mothers side and that the family has brought you into the fold. Wow, we just came across this in the past few days. Mum was all leaky eyed reading it. While our mum is older than you, her mum died in 1987 as well. Then her Dad just three years ago. But she doesn't have another mother! What you have thus far is a well thought out chapter outline. If you're looking to be pubbed traditionally, you'll need a full proposal @60 pages. If you self-pubbing I'd still go through the steps. It's good exercise. You won't need to hire a book jacket designer but you will need a developmental editor and a line editor. Let me know if you have questions. I worked months on my current proposal out at editors now. Even though my agent said it was strong and timely the market is long, tough slog. For memoir, I'd study all the successful adoption themed ones and see how yours is different. Good luck and follow your heart. If the story has to come out it will. I just read the whole amazing story from beginning to end. Went through almost a whole box of kleenex in the process, too. What an amazing story. So glad you found your birth mom's family and that they welcomed you with open arms. I can't believe I never saw this until now! This is an amazing, wonderful story of two families' love for you. I hope that someday you will publish it in book form as well. Where do you stand with publishing Debbie? It is such an amazing story and could bring such comfort to so many people. Thank you again for sharing. Another Mother - A Story of Sisters, Mothers, and Daughters. (You came up with the title yourself.) Has it become a book yet? I read this thru when you first posted it in serial form. Just finished reading it again in its entirety.